Conveniently located between Jaipur and Delhi, the Sariska Tiger Reserve in Rajasthan is a treat for nature lovers. Discover Nomad’s wildlife tours here. 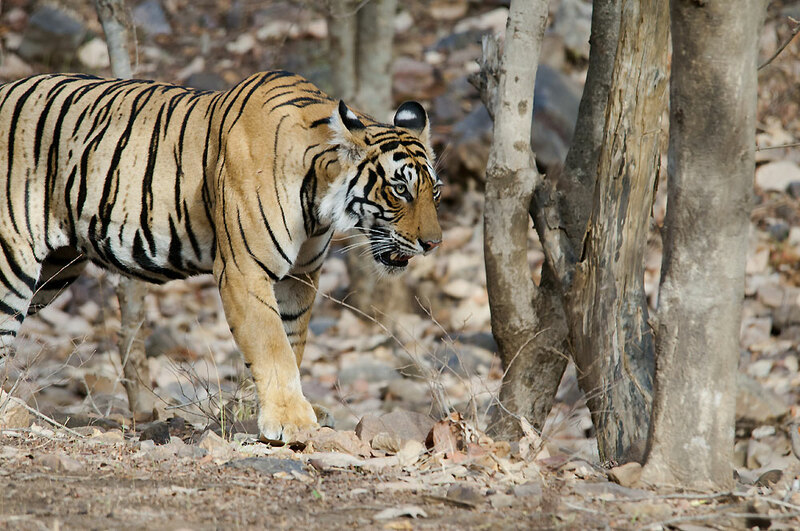 The Sariska Tiger Reserve in Rajasthan covers an area of 800 square km. 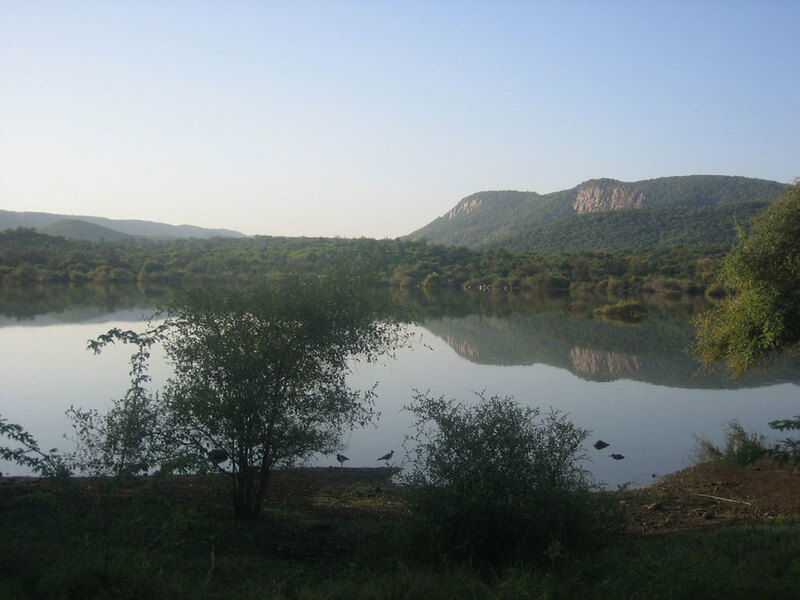 The landscape of Sariska is dominated by the sharp cliffs and narrow valleys of the Aravalli mountain range. The forest is a dry deciduous forest. Within the jungle can be found exciting ruins of medieval buildings- 10th and 11th century temples, and a 17th century castle. Location: Alwar district, north-west Rajasthan. 120 km from Jaipur and 200 km from Delhi. Prominent fauna: Tiger, leopard, sambar, chital, nilgai (blue bull), four-horned antelope, wild boar, hyena and jungle cat. Best time to visit: November to May. Closed from July to September. Destination Guide: Conveniently located if you're driving between Jaipur and Delhi, Sariska is an ideal stop-off point for a few nights, far from the city madness. Set in the backdrop of the Aravalli Hills, it's an amazingly quiet and peaceful travel destination with a strong historical background. Being one of the less commercial sanctuaries, it's a great place for nature lovers and wildlife enthusiasts. Bird watching is also a treat here, with many species of fowl, quail, partridge, eagle, grouse, owl and woodpecker. The reserve is also the location of several archeological sites such as the Neelkanth Mahadev Temple and Garh Rajor temples from the 9th and 10th centuries. The 17th century Kankwadi Fort, located near the center of the park, was where the Mughal Emperor Aurangzeb briefly imprisoned his brother Dara Shikoh in the battle for succession of the Mughal throne. The area also has historical buildings associated with the Maharajas of Alwar such as the Sariska Palace, which was once used as the royal hunting lodge of Maharaja Jai Singh. You can take jeep safaris into the jungle in the mornings and the evenings. Accommodation: You can stay at the Tiger Den, a comfortable, homey property run by the Rajasthan Tourism Development Corporation (RTDC), at the entrance of the tiger reserve area. The other choices (a little outside the forest) include the Sariska Palace and the Siliserh Lake Palace- located on the edge of a picturesque lake where you can take boat rides.